Release Day for The Adorkable Girl and the Geek! It’s the -re-release day for The Adorkable Girl and the Geek! This was originally my book that was in the Some Like it Geek boxed set, so it is a re-release. Snag it now! Nate Vaughn is in love with a woman he can’t have. His best friend and former neighbor. Cara embodies everything good in the world, but she’s far too innocent for someone with tastes like his. Now she’s coming to visit and Nate must walk the tight rope between loving her as a friend, and wanting more. Cara Logan has been stuck in a rut and is in need of a new perspective. Visiting her bestie in L.A. is the perfect way to kick off a new year and a new her. 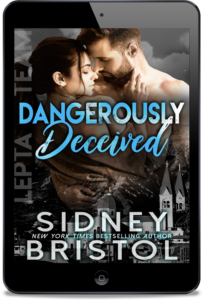 Liquor loosens lips and soon Cara is sharing far more secrets than she ever meant to tell Nate, including her unrequited love for him. The friends embark on an emotional and often boundary testing journey to discover how deep their feelings and desires go. Cara must chose to accept Nate, dark desires and all. But Nate is keeping secrets that might tear them apart before they’ve even begun. ← The Line of Duty is back in the wild!